Give your car some extra care with service from Akin’s Auto Repair of San Jose, California. Certified Brake Inspection Station. 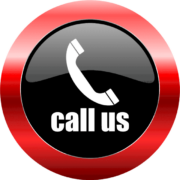 We have more than 23 years of experience and specialize in quality auto repair and maintenance for all types of vehicles. Our technicians are skilled at all types of auto work such as brake repair, check engine light service, and oil changes. We provide friendly quality services at incredibly affordable prices. Extend your car’s life with check engine light service from our auto repair shop in San Jose, California. Contact us today for more details. Print this coupon and bring it to our shop.